Cloth can be made from natural fibres or man-made ones. Examples of natural fibres are cotton, wool, and silk. Examples of man-made fibres are nylon, rayon, and polyester. 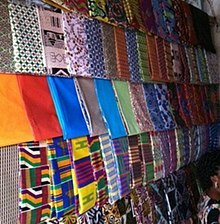 Wikimedia Commons has media related to Cloth. This page was last changed on 22 October 2017, at 16:36.